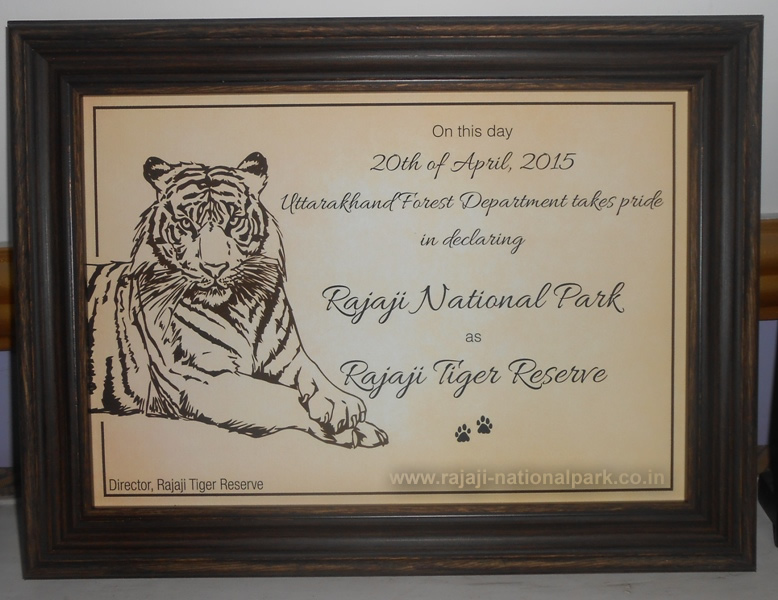 On 20th April, 2015 is now become an important day in Rajaji National Park history. 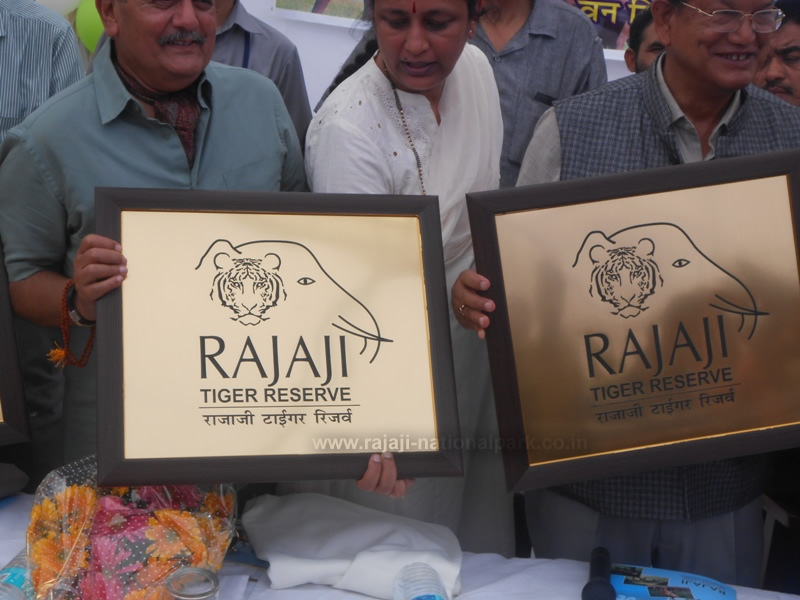 Finally Center Government notified on 15th April 2015 Rajaji as 48th Tiger Reserve of India, and 2nd Tiger Reserve (1st is Jim Corbett) of Uttarakhand State. 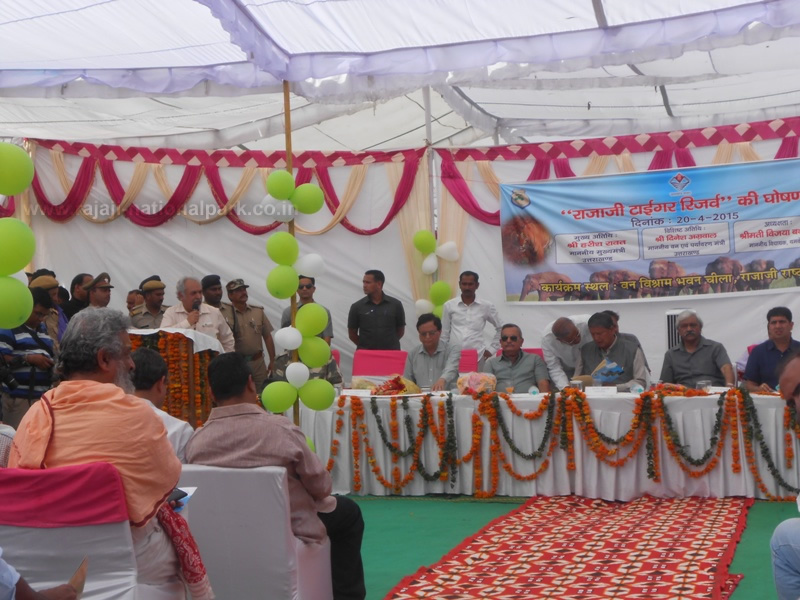 In todays programme at Chilla Range, all the Forest Officials, Wild life officials, Tour operator were present. 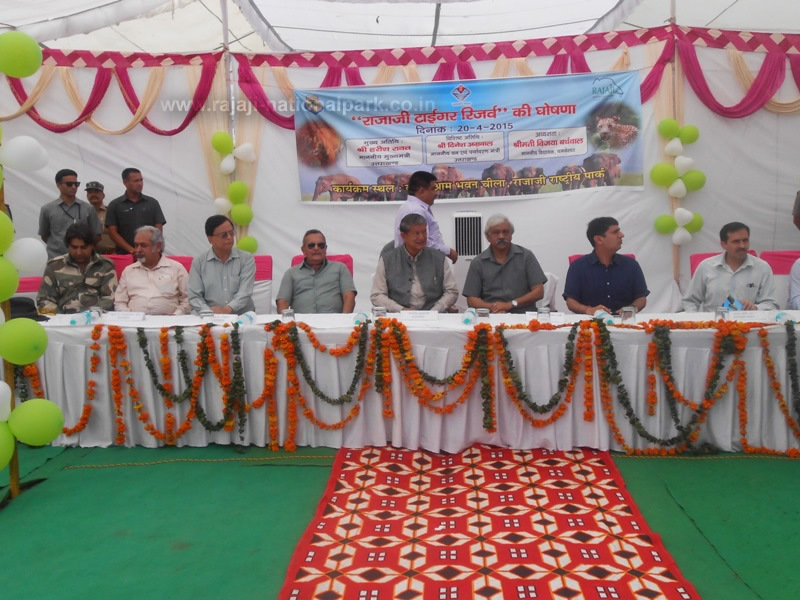 The Chief Minister of Uttarakhand Sh. 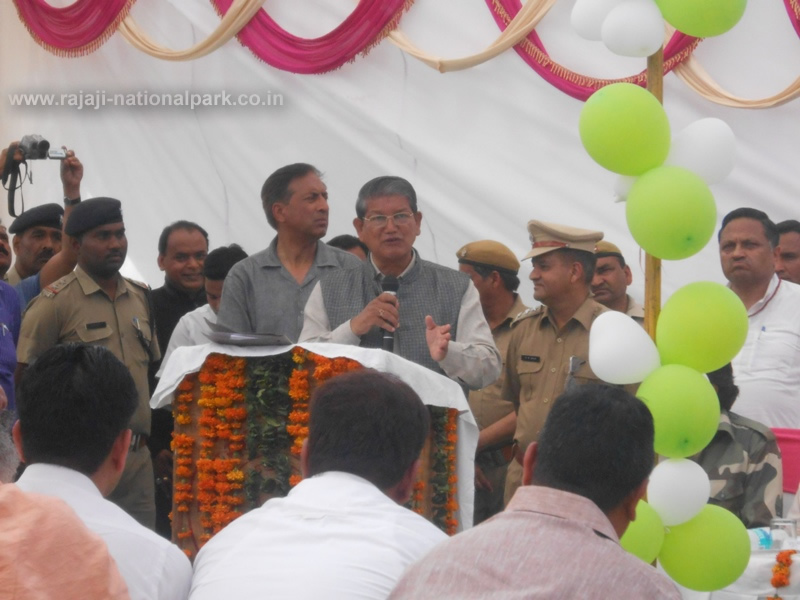 Harish Rawat declared Rajaji National Park as Rajaji Tiger Reserve. 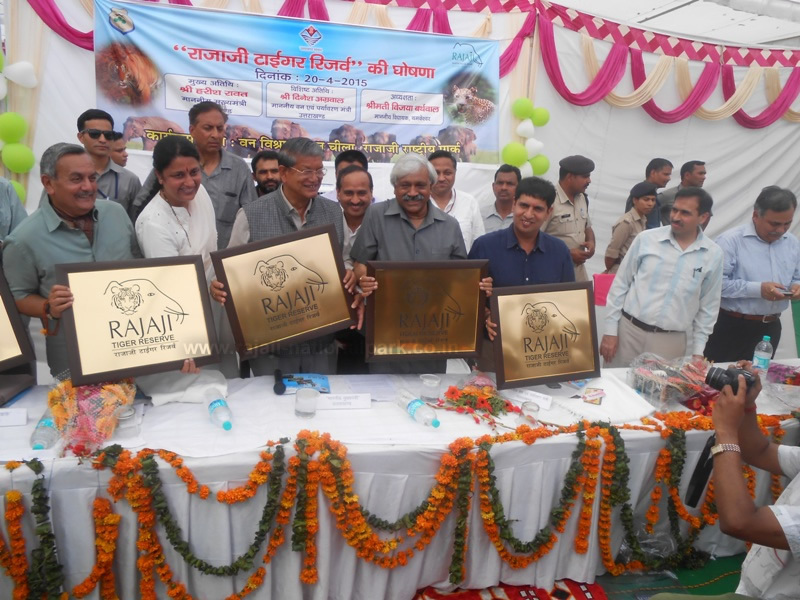 The new logo of Rajaji in this occassion displayed. 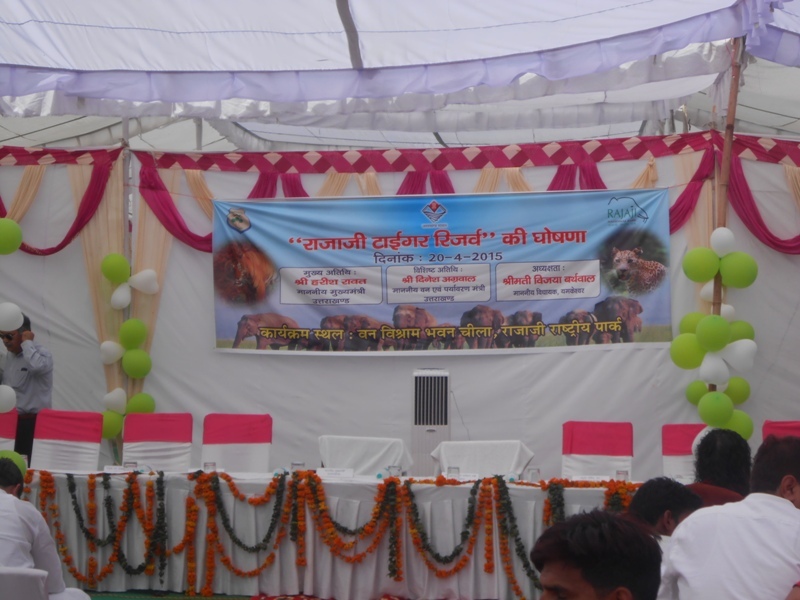 Every one appreciate the effort of some of wild life officier of Rajaji as their efforts got success today. 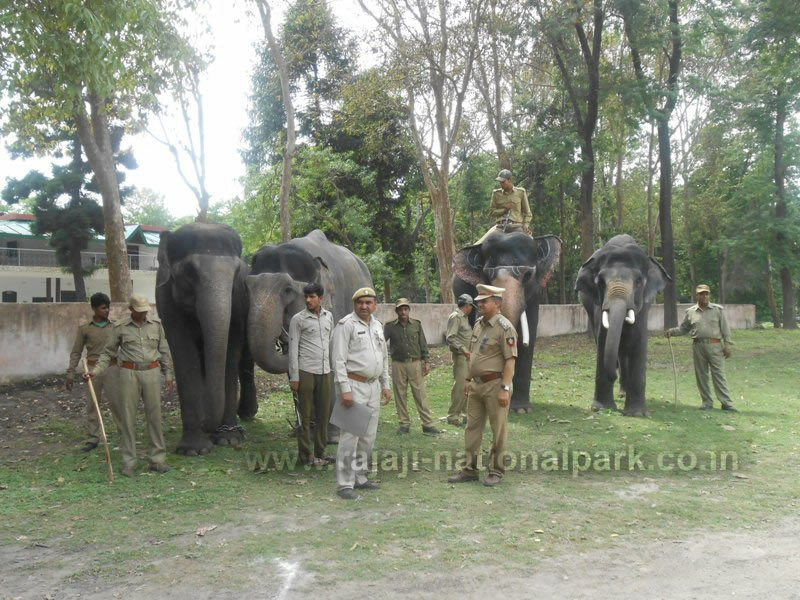 On this occassion new declared extented area of Rajaji Tiger Reserve become 1075 Sq. Km. previously it was 820 Sq. Km. Till 18 Tiger is identified in the buffer zone of Rajaji. 1. Chances of Animal and Human Conflicts. Show your courage to view any one with in 18 Tigers in Rajaji Tiger Reserve Buffer Zone. Experience Tiger at Rajaji Tiger Reserve. Book your whole day Safari. Send E-mail at rajajinationalpark@gmail.com or info@rajaji-nationalpark.co.in, Minimum 4 pax with Full Gypsy Booking. Meals with in Jungle Machan.